Commercial pools are typically defined by the fact that they are made to be used by the public. These pools usually have a more involved set of standards when it comes to maintenance, condition and safety since they will see use from a greater number of people than will most private pools. Corrosion in a public pool is something that must be addressed if it occurs, but steps can be taken to avoid it, and prevention is definitely the best course of action in this case. Corrosion in public pools can cause the actual structure of the pool to become compromised if the damage is bad enough. Metal pool components like ladders, rails, and even pumps can be affected. Corrosion of ladders and rails can mean an unsafe environment for pool users. If the damage has gone on for too long, the structures will most likely need to be replaced before someone gets hurt. Several instances of replacement can begin to get expensive. Although corrosion itself indicates breakdown, it can cause other problems as it’s going on. 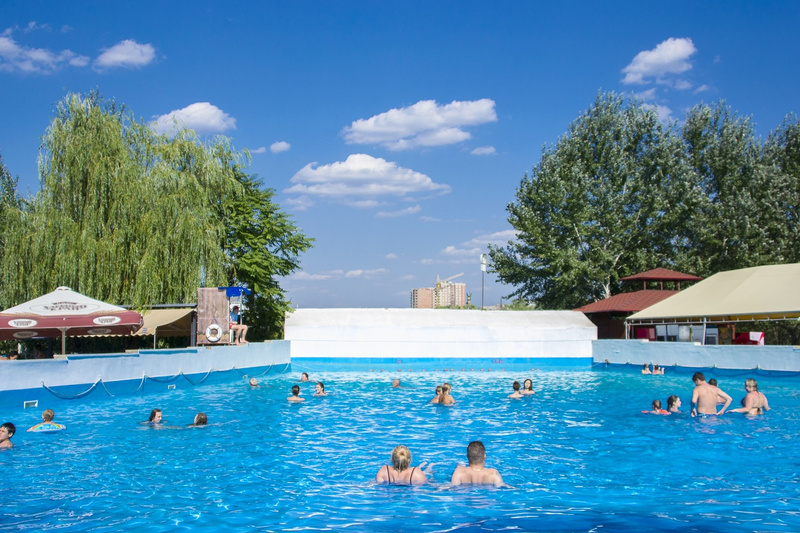 If corrosion is occurring in the public pool you frequent, you may notice discoloration of the water caused by metal ions released in the corrosion process. There will probably also be staining on the walls of the pool. Although the interiors of most public pools are constructed of concrete, the ones that are vinyl lined may sustain wrinkling in their linings if corrosion is a problem. Saltwater pools often get a bad rap for being overly susceptible to corrosion, but the reality is that the process happens with chlorinated pools just as much. In a saltwater pool, the salt can facilitate corrosion, but it occurs mainly if the metal components aren’t properly bonded during installation. Bonding is the process by which electric and metallic parts are connected to contain any electrical voltage, so it can’t be transmitted to pool users. In the event that bonding hasn’t been carried out effectively, salt acts as a facilitator for corrosion. 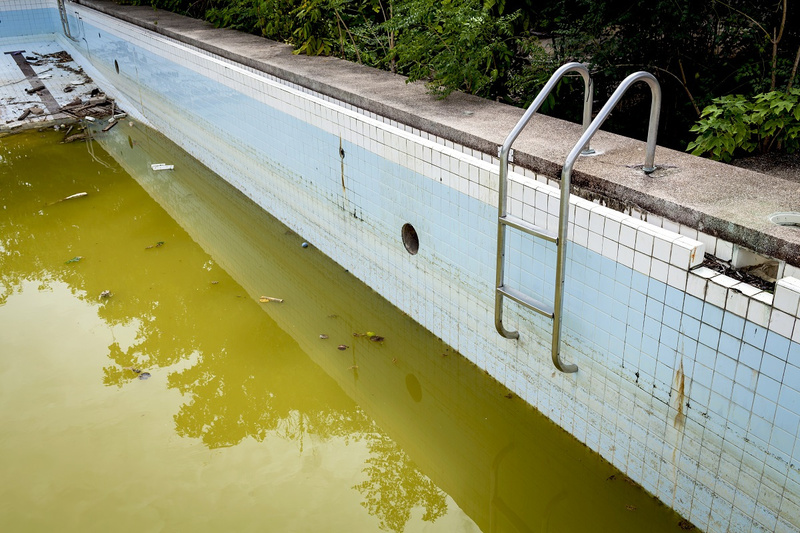 Most of the time in a chlorinated pool, chloramines are to blame for getting corrosion started. Chloramines form when ammonia and urea combine with chlorine in the water and then produce and off gas (chloramines), which adheres to metal around the pool and begins to break it down. Now that you know a little more about how corrosion occurs in public pools, you can learn how to prevent it. The first step is to make sure the chemical balance stays constant. This is accomplished through frequent water testing. If pH is too high or low, corrosion can easily start to affect vinyl liners, pool generators and metal structural components. Salt levels also need to be checked regularly. When it comes to metal structures, they can be treated with a protective coating, or nonmetal substitutes can be installed. It’s important for managers of public pools to have a maintenance program in place when it comes to preventing corrosion. Taking the necessary steps to prevent this destructive process from making it necessary to constantly replace metal pool structures can make public pool maintenance cost in John’s Creek significantly lower than it would otherwise be. These funds that will be saved can be allocated toward other projects that will make such a pool more attractive and user friendly. For more information on public pool maintenance, visit www.sunrisepool.com.